The 2019 Vermont Shop Hop has come to a close, and we're grateful for your participation. We saw so many of you over the past ten days, popping in the door, passports in hand, and your excitement was contagious! Yes, the days were long, and sometimes the weather was downright awful, but you were enthusiastic in your journeys around the state, and for that, we thank you. We hope you had a wonderful time, and that you were inspired by the things you saw, not only at Yankee Pride, but at all the shops in the Shop Hop. You are what makes the Shop Hop a success. As we (slowly) move toward Spring, the itch to make something new seems to be catching. We're making graduation quilts, wedding quilts, baby quilts, and more. It's time to pull out your patterns, and plan fun new things! You know we have just about everything you need to create your next masterpiece, and if there's something we don't have, we can usually order it for you. All you have to do is ask. Holiday Banners with Deanna (April 4). Deanna does such lovely wool work. She discovered this pattern last year, and thought it would be a good beginning class. Choose from a Halloween or Holiday banner. They're great fun! Star Storm Mini with Vickie Hutchins (April 13). The sample for this class has gotten lots of attention from customers! Sign up to make your own quilt, using Victoria Findlay Wolfe's pattern, and Vickie Hutchins' instruction. Pineapple Blocks Two Ways with Marti (April 18). This class was originally postponed, and now Marti is teaching it during the day. Learn how to make the traditional Pineapple block, and start busting your scraps! Kite Tails & Whirligigs with Cindy (April 18). This easy quilt will come in handy when you want to make a quick baby quilt! Squares and half-square triangle units are all you need to know to make this one. Click on the links above to sign up for classes online, or stop in at the shop. You can also visit our Classes page online, to see some other new offerings. We hope to see you soon! so you have an extra day to come in and save! Yankee Pride will be closed Sunday, April 21 for Easter. We hope you enjoy the day with your family and friends. NOTE: For a close-up look at the fabrics, click on the photos! What fun! 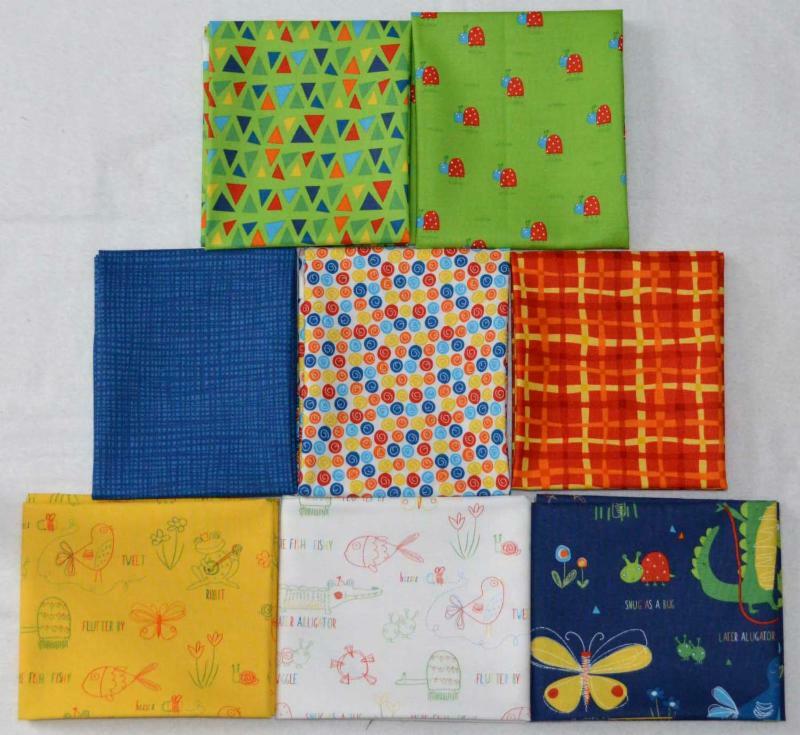 Bright, happy prints, and words on fabrics - make something for the child in your life. No matter what you choose to create, it will look amazing! 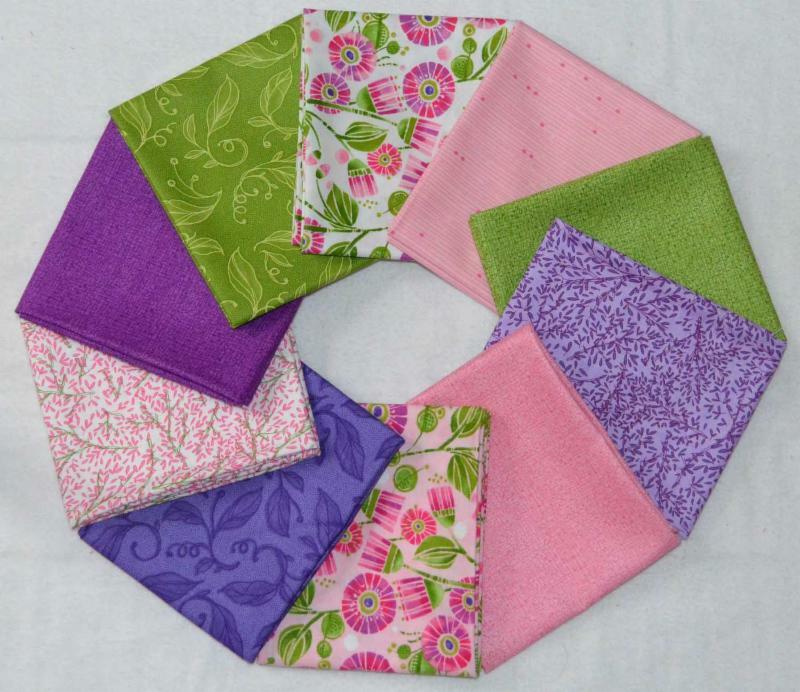 Basic prints are great - so versatile, and they can work in several different types of quilts. Here's a great example: Cotton + Steel is a group of designers whose style is very modern. But these basics will fit in with more traditional fabrics, juvenile fabrics, or even on their own. Don't let the name on the bolt limit your fabric choices! This line, on the other hand, is all about the Reproduction era. 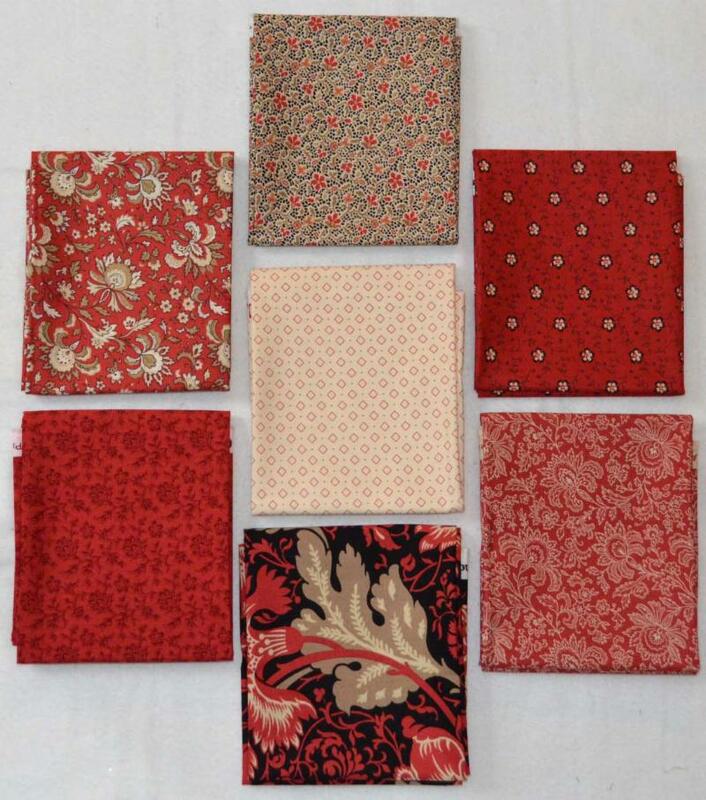 Use this group of prints to make a beautiful bag, or an elegant throw for yourself or a friend. We love the look of rich reds! 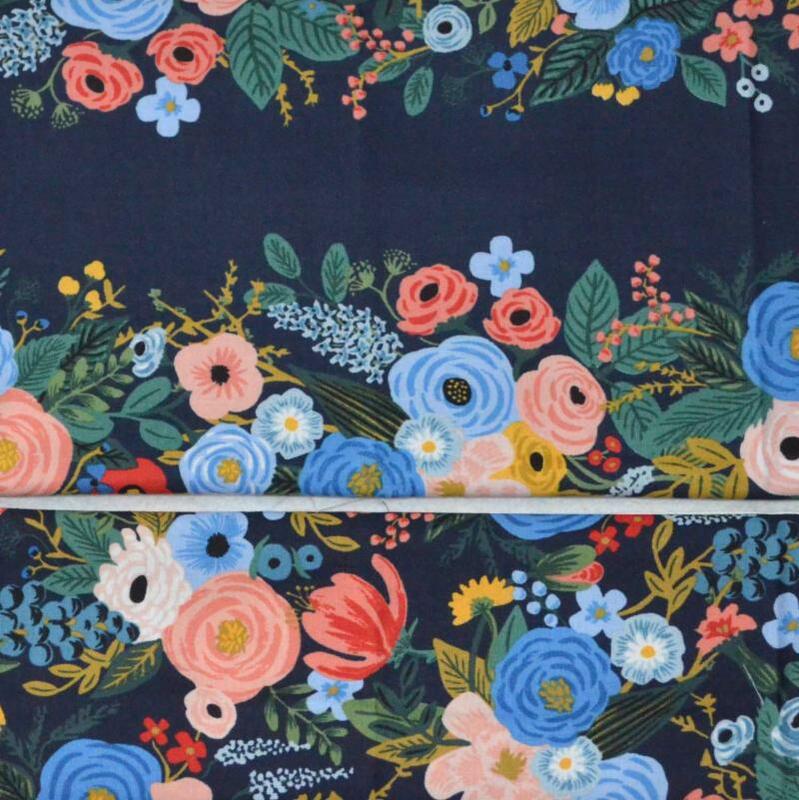 This pair of prints uses a familiar color palette for Cotton + Steel: blue and coral. The top print is actually a stripe, perfect for table runners and quilt borders. The bottom print is those same flowers in an allover pattern. They are both gorgeous, and make us want to plan a new project! Oh, how happy these prints make us feel! It's spring in one shot. 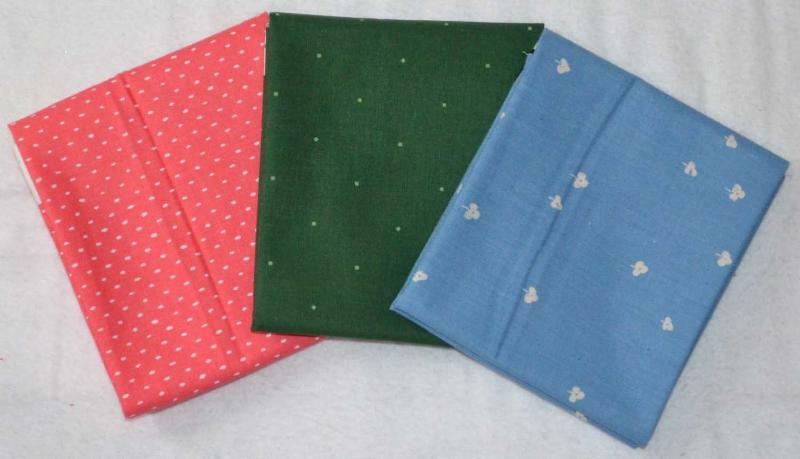 The focus fabric in this line (top and bottom in photo) would look incredibly sweet made up into a little girl's dress. We have a few dress patterns at the shop, and there's still time to make one before Easter! New in at the shop this past week are the latest issues of our favorite French quilt magazines: Quiltmania and Simply Moderne. Both magazines always have such a different view of quilts than we're used to here in the U.S. They spotlight different designers, cover quilt shows in Europe and Australia, and show us the inspiring quilting that's going on around the world. If you haven't taken a peek at these wonderful publications before, stop in and see what we're talking about. Thank you, as always, for your business, and thank you for being our customer. We love that you still believe in shopping local!